With some states opposing the introduction of National Eligibility Test for admission to engineering courses, it is unlikely to be held next year but could become a reality in 2019-'20, a top AICTE official said on Monday. 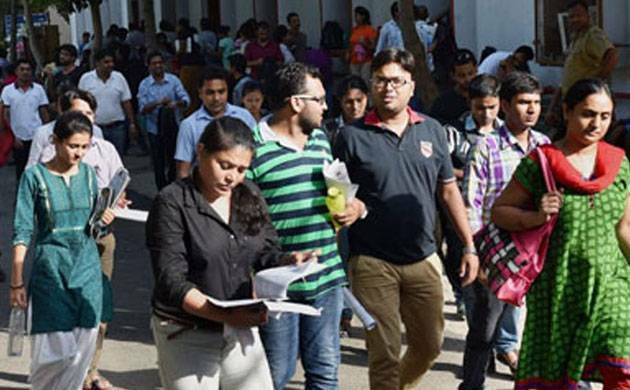 Though the All India Council for Technical Education (AICTE) had approved a single entrance examination (NET) for admission to all engineering colleges from this year, some states had opposed and as a result it had to be deferred, AICTE Chairman Anil D Sahasrabudhe told reporters. The Council would hold discussions with state governments on NET and put forward the finer points and its advantages for the locals, who would remain top in their respective states and can gain entry into IITs also, he said. Stating that some governments were apprehensive about the outcome of the entrance test, he said that there would not be any problem for the students, as feared by many with regard to NEET for admission to MBBS and BDS courses. Once the state governments were convinced, the test would become operational, at least by 2019-20, Sahasrabudhe, here to participate in the 15th Graduation Day of Sri Krishna College of Engineering, said. On future initiatives of AICTE, he said the council planned to introduce Students Induction Programme, as a measure for confidence building for those coming from rural background, poor and those having studied in local language. This would help them to get accustomed with students, who were well versed in English and higher education system, he said. Similarly, the Council would also introduce faculty induction programme, by which the newly recruited teachers would have to undergo certain training for four to six weeks, before they were appointed as full-time teachers, he said. Another initiative the council was contemplating was to change the nature of question papers, he said. To a question on the proposed Higher Education Empowerment Regulation Agency (HEERA), the AICTE official said that it was at a nascent stage and added once the draft was ready, it would be debated and discussed among all stakeholders.